Our apartment is located at the base of a mountain that surrounds our town with a beautiful view of the sea and the island of Brač, only 10-15 minutes by car and 30 minutes on foot from the centre. The apartment is newly furbished and you will feel pleasant in a happy atmosphere. We offer a nice and clean place to stay, equipped with everything you need to relax. We offer free Wi-Fi access. The kitchen is equipped with a stove, oven, a fridge with a freezer, microwave oven and a coffee maker. 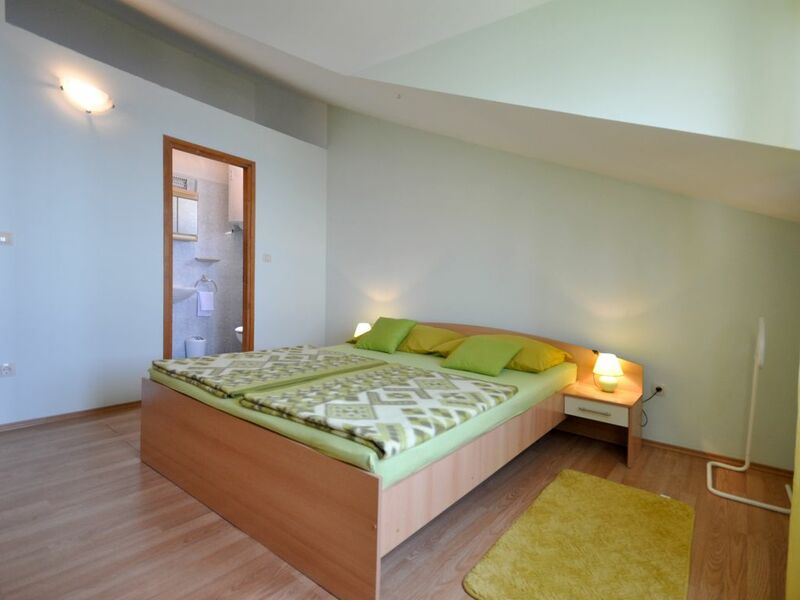 The apartment is most suitable for 4 up to a maximum of 6 people that can stay in two bedrooms or on the sofa. The apartment is child friendly. You can use the balcony on which you can drink your morning coffee, have lunch, or simply enjoy the sunshine and the view. With the apartment you also get a private parking space to use.